Shooting suspect James Holmes, in an undated photo released Sept. 20 by the Arapahoe County Sheriff's Office. Holmes has been shorn of the dyed-red hair he had when first arrested. 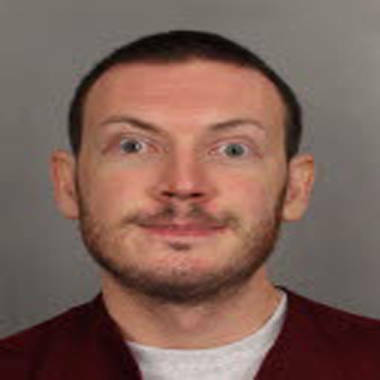 Prosecutors in the case against James Holmes gave up their pursuit of the notebook Holmes mailed to his psychiatrist before the July 20 theater massacre in which 12 were killed and at least 58 were wounded, the Denver Post reported Thursday. In a hearing at the Arapahoe County Courthouse on Thursday morning, prosecutors said they weren't going to pursue the notebook now because the debate could delay proceedings for months and they were likely to gain access to it as the case goes forward. "There's a high degree of likelihood that whatever privilege exists in the notebook will end up being waived by the defendant" should Holmes' lawyers pursue an insanity defense, prosecutor Rich Orman said during hearing on the issue, Reuters reported. The notebook purportedly contains descriptions and drawings of a violent attack. Holmes, a former neuroscience graduate student at the University of Colorado, is accused of opening fire on the audience at a midnight showing of the Batman movie "The Dark Knight Rises" on July 20 in Aurora, Colo. He is also accused of wiring his apartment with an elaborate system of explosives and tripwires, with apparent intent to kill first responders and other residents in the building. Appearing in court on Thursday, Holmes' head had been shaved of the garishly colored red hair he had in previous court appearances, the Post reported. In earlier proceedings, Arapahoe County District Judge William B. Sylvester denied prosecutors access to the notebook, ruling that they could not disprove a doctor-patient relationship between Holmes and Lynne Fenton, a psychiatrist at University of Colorado. Sylvester had scheduled Thursday's hearing to take up the issue again. Attorneys for Holmes argue that their client is mentally ill and was seeking Fenton's help. At the last hearing, the judge rejected prosecutor arguments that a privileged doctor-patient relationship ended June 11, the last time Fenton saw Holmes. Holmes has been charged with 142 counts, including murder and attempted murder. Prosecutors are seeking to charge Holmes with 10 more counts, the Denver Port reported, citing a motion filed earlier this week. They also filed a motion to amend 17 counts against Holmes, the Post reported. Details were not released because a gag order is in place. In related news, the memorial that sprang up outside the Aurora theater after the bloodshed was disassembled Thursday, the Denver Post reported. The city said it had consulted with families of the victims and that a local museum would be archiving items from the display, the report said.